DEVENS MA, November 15, 2018 — Comrex has introduced HotSwap, a new feature for their ACCESS and BRIC-Link II IP codecs that adds a long-sought reliability function. HotSwap allows users to back up their studio-to-transmitter link (STL) or other dedicated link with a wireless modem. CrossLock, Comrex’s powerful technology for increasing network reliability, allows codecs to use multiple IP networks at once. CrossLock lets users bond networks together so that more bandwidth is available. Alternately, in redundancy mode, users can send identical streams down both networks. Until now, however, it hasn’t been possible to designate one network as primary and a second network to be used only when the primary fails. For ACCESS codecs, any supported modem can be used as a back-up. 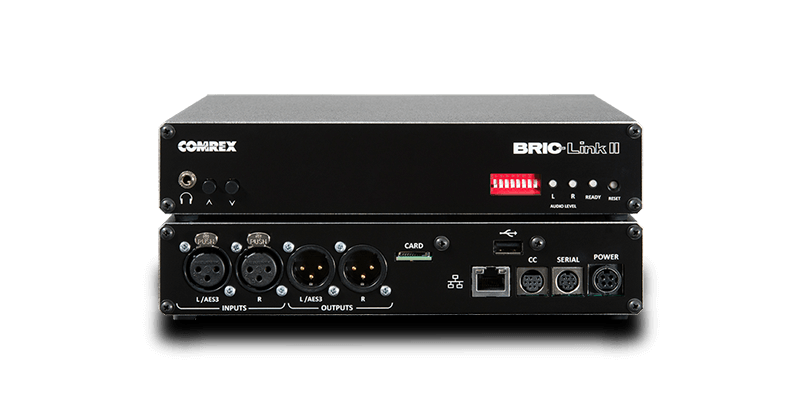 For BRIC-Link II, only Comrex Connect Modems are supported. 4G LTE Comrex Connect Modems are available for purchase through any Comrex dealer. When ordering, ask for the NX model of Connect Modem. Verizon, AT&T, and International versions are available. HotSwap is included in firmware version 4.3, which is available now for all ACCESS and BRIC-Link II codecs. Users can download it for free using Device Manager.